This morning, with the release of Safari 12, I found my usual academic workflow quite broken. 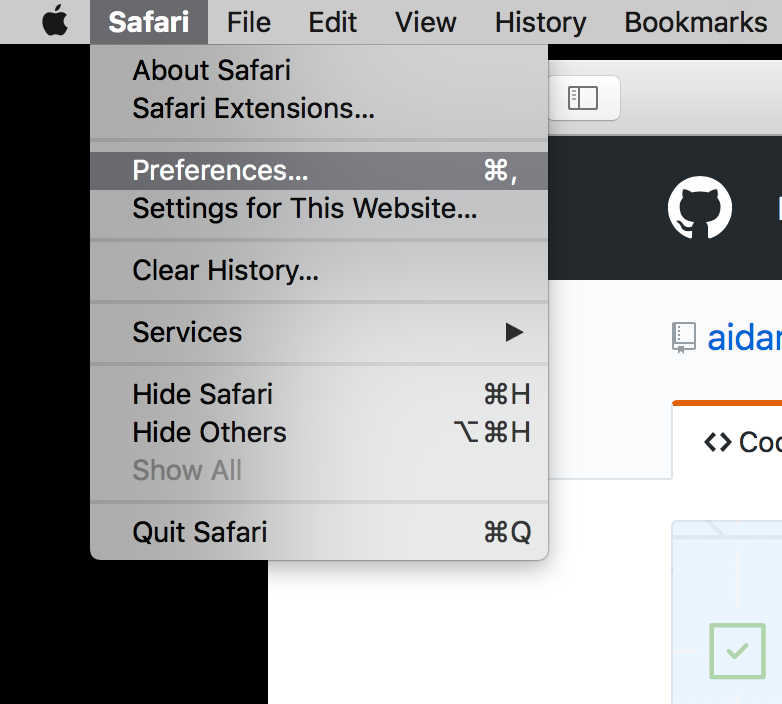 Having the convenience of a single button for SciHub and EZProxy access is something quickly missed, so I set out to make Safari App Extension versions of these plugins. After a not insignificant amount of head-banging-against-wall, I figured out what needed to be done. 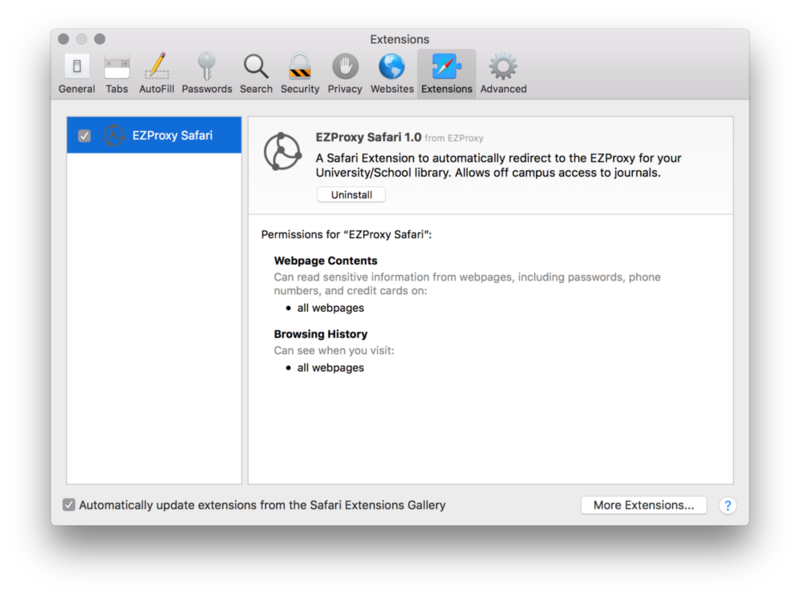 To save you some pain, presuming you’ve stumbled upon this post after realising your traditional Safari Extensions are gone, I’ve uploaded the EZProxy extension for Safari 12+ to my GitHub. If you’re not programatically-minded you’ll probably appreciate the precompiled binary of the EZProxy extension… instructions follow. 1. Download the app from the releases folder (EZProxy.app.zip is the one you want). 2. Drag the downloaded EZProxy app to your Applications folder. 3. Open the EZProxy App and select 'open' on the downloaded from notice. 4. Set your institutions proxy url (something like proxy.library.adelaide.edu.au or ezproxy.flinders.edu.au...). This step is important, if you don't set this it won't work. 5. Open Safari and go to the Preferences. 6. Go to the extensions tab, and enable the EZProxy extension. 7. Installation is done! You can now use the EZProxy button on any web page - provided your library supports it.